I chose to highlight my new painting series titled "Trap Conscious". 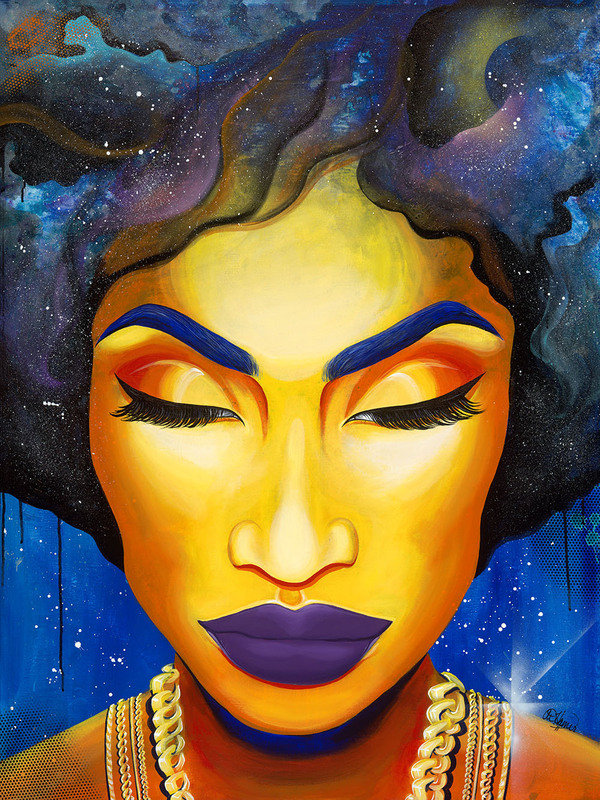 Inspired by my love for hip hop and astrology, this painting series reflects on the dichotomy between the two. The stars and galaxies in my artwork reflect a higher level of self-purpose and understanding. I want to express that this state of self-actualization is still possible for the trap, a "class" expected to be ghetto and violent . This series strives to mirror Du Bois’ concept of “double consciousness”, an ideology with which we are all too familiar. To purchase a canvas print, email me at aramis.hamer@gmail.com for a Paypal invoice.